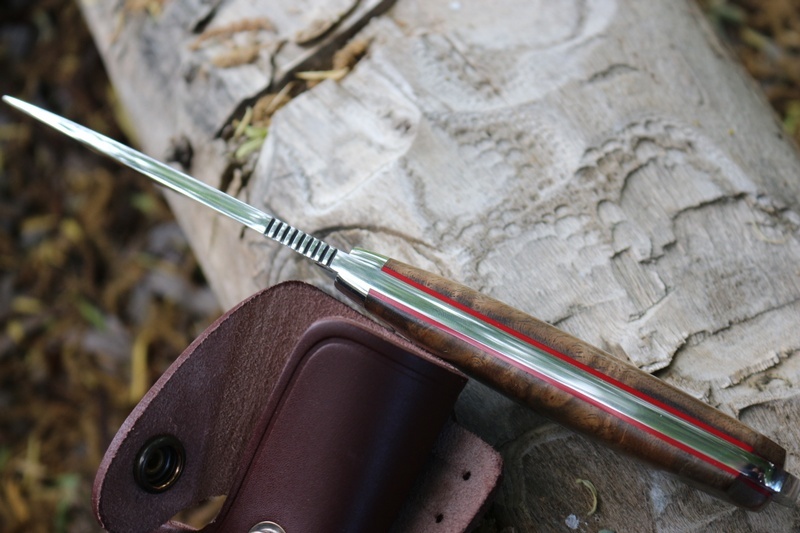 Cudeman MT5 Walnut with Red Liners and Sheath Kit. 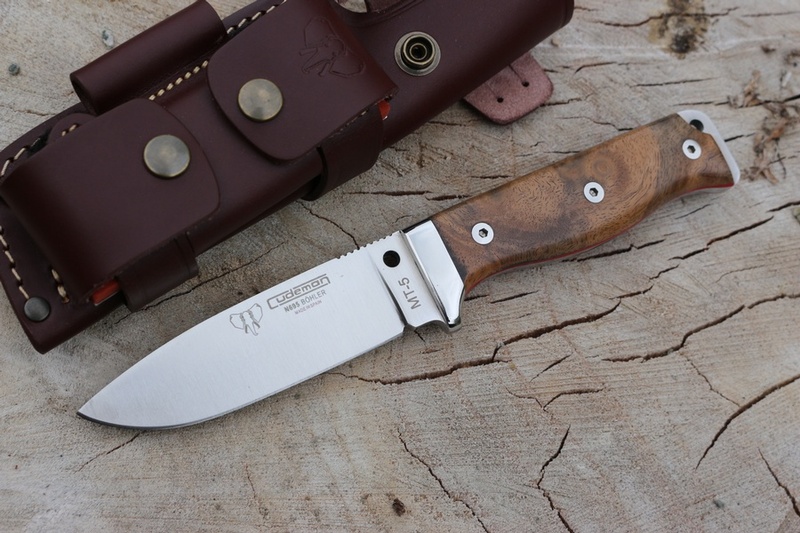 Spanish company Cudeman make some very high quality knives and the MT5 is their Primary Outdoor Knife. 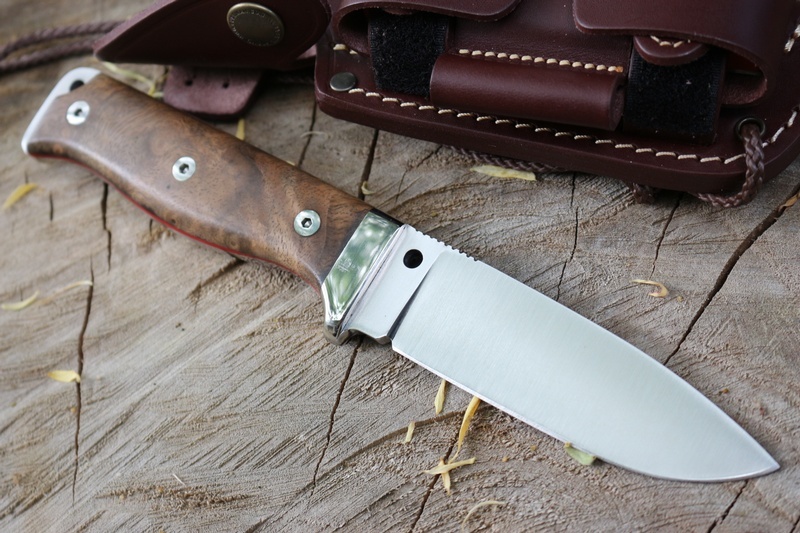 Very popular in the Bushcraft world this knife has the reputation of being well designed, well made and easy to use. The blade is 4 1/4inch of Bohler N695 steel, flat ground and 60HRC, a full broad tang, 5mm stock at the handle and tapered to the blade tip for great cutting power and control. Excellent choice as an all around bushcraft knife, or outdoor general purpose knife. 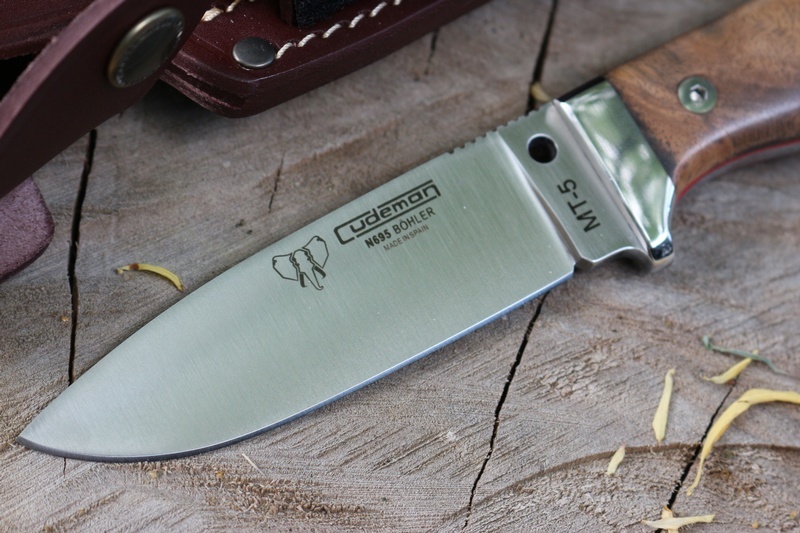 The removeable slabs are Walnut with red Liners, the tang is extended to provide a lanyard hole, stainless bolsters as well make for a very sturdy outdoor knife. 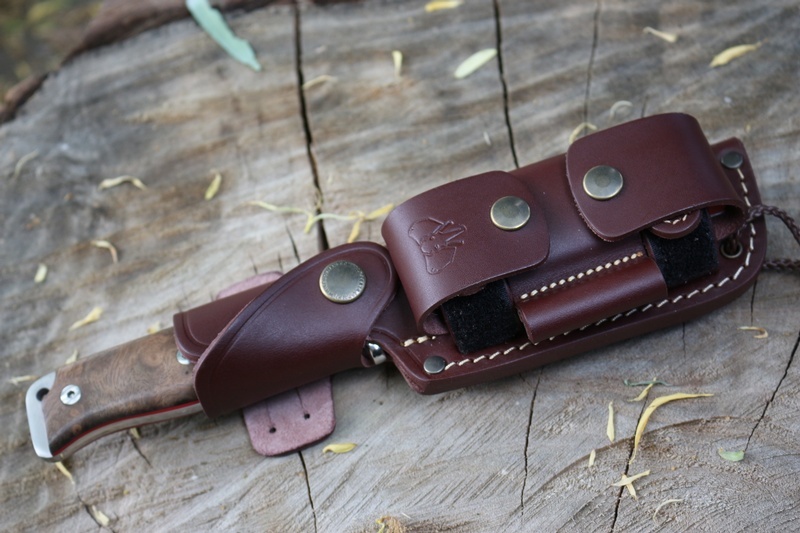 The sheath is full grain leather and can be carried in a variety of ways for ease of use. OAL 9inches/Blade 4 1/4inches, stock 5mm tapered to tip. Bohler N695 stainless steel 60HRC. Spine is squared off. Purchase through PayPal by using the "Add To Cart" button above or use the form below to order the Cudeman MT5 Walnut with Kit . Feel free to contact us if you have any questions about the Cudeman MT5 Walnut with Kit .